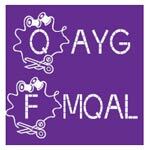 FMQ = Free motion quilting QAL = Quiltalong FMQML = Free-motion Quilt My Life! This quiltalong offers a range of options for the super fussy and not-so-confident, so that you will be able to come up with a fantastic looking quilt. (Basic beginner skills are required). You can determine the number of squares and size of quilt. 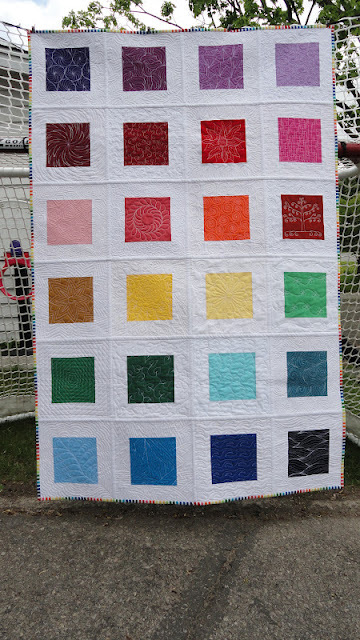 I am doing 24 squares and am going to lay mine out like this and use solid grey sashing and backing. JOIN THE FLICKR GROUP HERE!! Thread. LOTS. For less confident, newer FMQ’ers, invisible or matching thread; for intermediate, a medium contrast thread (eg grey); if you’re super confident or ready to see all your stitches, go for a high contrast thread like white. Intro: Choose your own Free Motion Adventure! Please let me know if you have a finish!